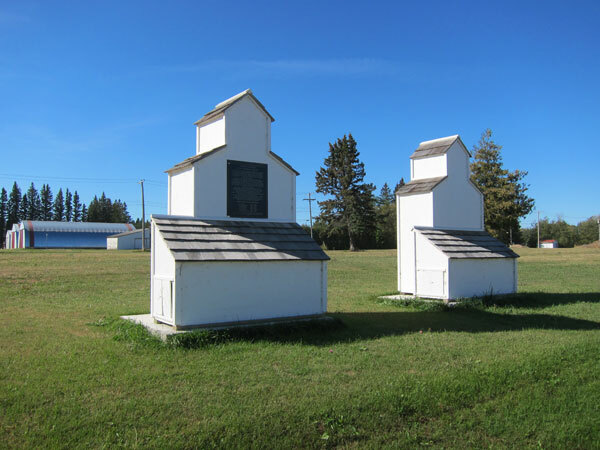 A monument in Altamont, on the CNR Miami Subdivision in the Municipality of Lorne, commemorates local grain elevators and the men who operated them. 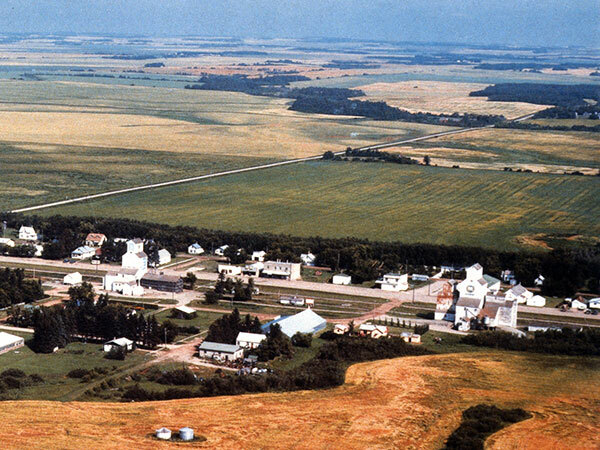 Source: Everitt Collection, S. J. McKee Archives, Brandon University, JCE-0995. This page was prepared by Gordon Goldsborough and John Everitt.